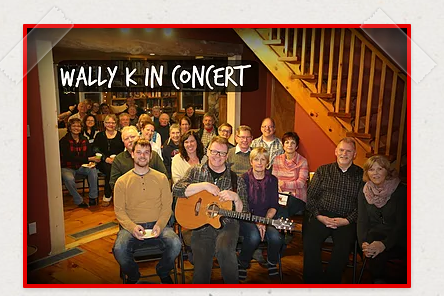 Join us for Wally's next concert series. Enjoy some of his original creations along with popular covers in the beautiful surroundings of our home. Bring your own libations if you like. Snacks and punch provided. RSVP required. Wally will also be playing at the Pastry Peddler in Millbrook on May 7th from 1-4 pm. Drop in for some awesome live music and yummy treats. Please RSVP by texting Pam at 705-344-2914 or replying through our website.